It is on. The much-publicized US Administration’s new security focus to counter the growing influence of China and Russia is being implemented. And it is going to affect the American troop deployment in Africa. In February, in the Munich Security Conference in Germany, Commander of the United States Africa Command (AFRICOM), General Thomas D. Waldhauser, announced that the US plans to reduce its troop and military-affiliated civilian deployment in Africa by 10% in the course of next three years. 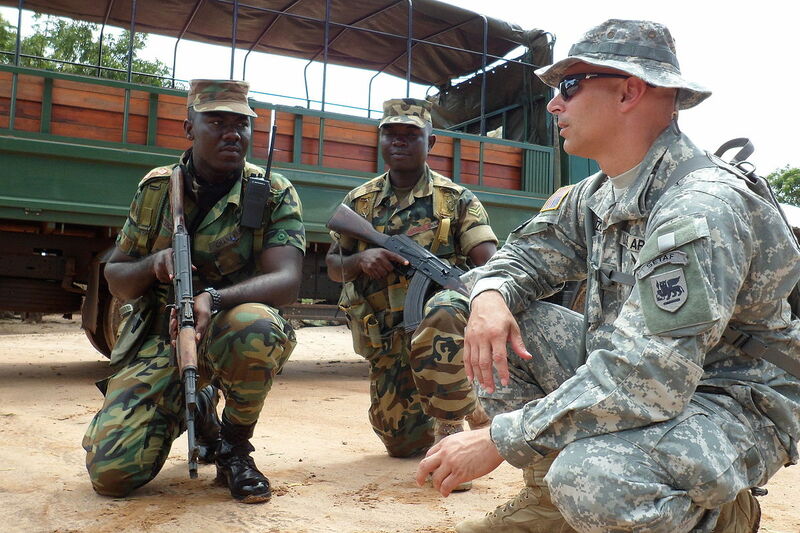 This would reduce the US military presence in Africa to approximate 5,400 men and women according to public figures. This has come as news to many, although the US military’s plans for a partialpullout of its Africa contingent has been in the media at least since the second part of 2018. The idea of reducing the military presence on the ground gained momentum particularly after the death of US soldiers in Niger and Somalia in the course of 2017 and 2018. Especially in Central and West Africa,the rather ambitious plan is that the local security forces, trained by the US special operations specialists, will be able to keep Islamist insurgents at bay, which should allow the moving of hundreds of US troops elsewhere to counter China and Russia.In 2018, the idea that had already been flashed was that reassigning and diminishing special operations would allow redeployment of the troops in “high priority” strategic locations. These locations would be those considered as crucial for confronting the Chinese and Russian threat to US interests. However, this reasoning by the US strategists raises some serious questions. First, is Africa less strategically important for the US interests, and its confrontation with China and Russia, than some other regions? And, second, are some hundreds of special operations and conventional troops, and military-affiliated civilians, able to make a more significant contribution elsewhere than in Africa in the confrontation with China or Russia? These are questions that may be hard to answer. But the planned reassignment does send a message that American military strategists consider Africa possibly less strategically important in competition against China and Russia than certain other locations. Yet, considering the geopolitical realities, this can be seen as highly disputable. In the course of the two last decades, China has made significant inroads in Africa and arguably considers it highly strategically important for its own economic survival and advancement. China has managed to gain impressive influence among the governments in the continentand extracts resources that are vital especially for its industries. It has also gained important market access in Africa which serves as an outlet for its industrial and agricultural production and a source of important contracts for its financial and construction corporations. In order to safeguard its investment and partnerships in Africa, China has increased its military presence in the continent. In a significant change from its previous policy of non-interference in the internal affairs of other states, it has assumed peacekeeping and peacemaking role in South Sudan where it has significant investments, especiallyin the oil sector. More recently, China has built its first military base in Africa in Djibouti, in close proximity of the only US base on the continent. China appears to consider Djibouti a key port in its Belt and Road Initiative, providing a logistical and commercial base for entering into the lucrative emerging markets in the interior Horn of Africa. Russia has also been increasingly active in Africa and the Horn, attempting to make new allies in strategically important locations. In part, this has been due to its difficulties with the West. Russian efforts have by and large been consistent with its policy of maintaining strongmen in power, engaging in deals on extractive industries, and finding markets for the products of its military industry. It has also shown interest in establishing a naval base in the Red Sea. Up to today, possibly the most vocal US response to the activities of its rivals in Africa has been the national security adviser John Bolton’s remarks in December 2018 about a new policy of countering China’s and Russia’s “predatory” practices. It could be argued that American strategists are conscious that the US has already lost much of the competition for geopolitical influence in Africa to China. Although this might be partly why it prefers to pick its battles with its archrival elsewhere, Bolton’s remarks on moving from supporting multilateral efforts increasingly towards bilateral treatment signals that the US might be on a verge of adopting a similar strategy to that of China in concentrating its efforts in wooing a number of carefully selected strategic partners. This, of course, has the potential to lead to an increasing escalation of Cold War-likecompetition for geopolitical and economic influence. In this, China seems to have already gotten a head start in Africa. Helene Cooper and Eric Schmitt, “U.S. Prepares to Reduce Troops and Shed Missions in Africa”, The New York Times, August 1, 2018. Henry Foy, Nastassia Astrasheuskaya, and David Pilling, “Russia: Vladimir Putin’s pivot to Africa”, Financial Times, January 22, 2018. Julian Borger, “US Unveils New Africa Policy to Counter ‘Predatory’ Russia and China”,The Guardian, December 13, 2018.